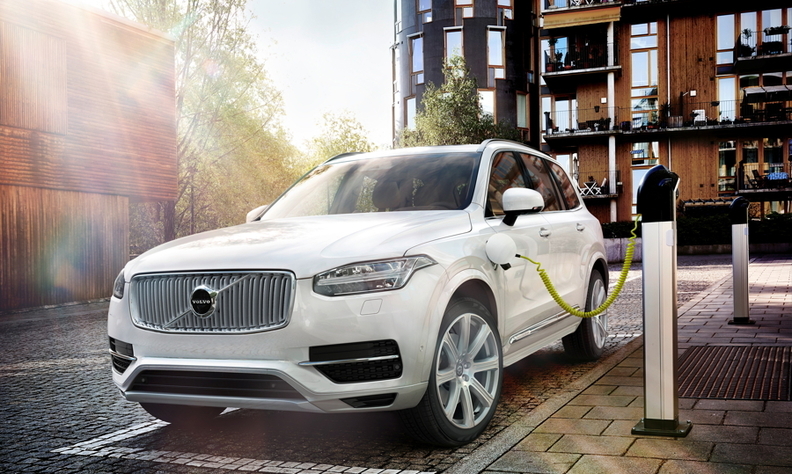 Volvo sells plug-in hybrid versions of its XC90 (shown), S90, V90 and XC60. Volvo’s decision to electrify all its future powertrains could mean more business for Magna International, which is eager to help the automaker reach its goal. The Canada-based supplier, which ranks third on the Automotive News Europe Top 100 Global Suppliers List, has been supplying the automaker with an electrified rear axle drive system (eRAD) for its Volvo V60 and S60 plug-in hybrid models since 2012. In April, Magna’s powertrain manufacturing division in Ilz, Austria, received the Volvo Cars Quality Excellence Award for its work on the drive system. Volvo said on Wednesday it will offer only electrified powertrains in models that it launches starting in 2019, signalling its intention to phase out the internal combustion engine from its lineup. “Volvo’s announcement this week -- that every car it launches from 2019 will have an electric motor -- presents an opportunity to Magna, and we stand ready to help them achieve this goal with our expertise in electrified powertrain components and system integration,” Magna spokesman Scott Worden said in a email to Automotive News Canada. Magna's eRAD system complements a traditional gas or diesel engine with an independent electric powertrain, which offers multiple hybrid driving modes while adding four-wheel drive capability. Magna might not be the only big Canadian supplier to land new electric business with Volvo. Linamar is also excited by the idea. Volvo CEO Hakan Samuelsson said on July 5 that the automaker's decision to electrify all its future powertrains sends a clear message to suppliers.